Please feel free to contact us directly either by telephone or e-mail to discuss any requirements or queries that you may have about our company our services. We are always happy and willing to help whatever it is you require. 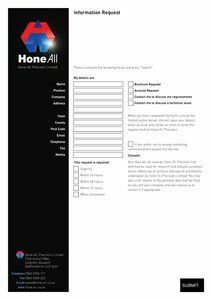 However, if you would simply like to request relevant documents or literature from us, please click on the relevant link for a downloadable pdf that you can e-mail to us. We will respond immediately.